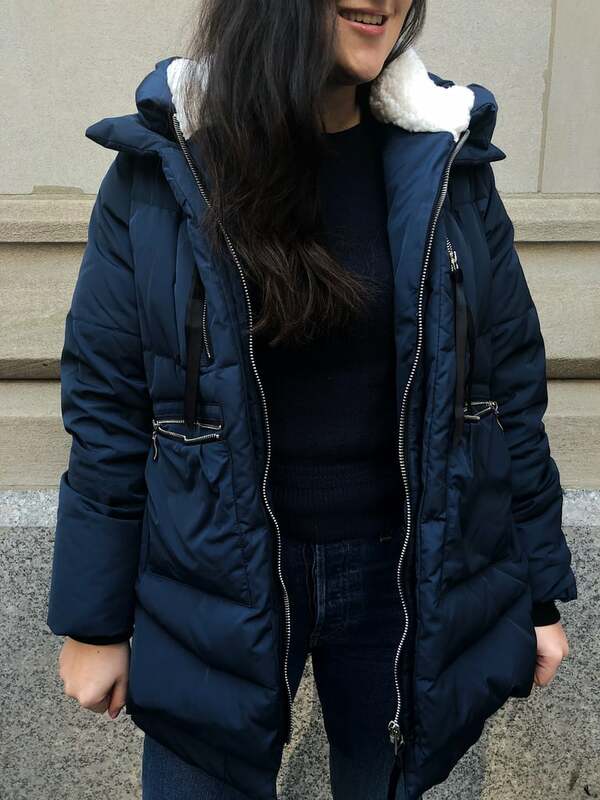 I'm a California girl living in New York City; when it comes to Winter coats, I don't mess around. Recently, I've been in the market for a new style. There are so many fun, fashion-forward silhouettes this season, but I never actually buy them, because I'm worried they won't keep me warm. So here I was, minding my own business, when I happened upon Arielle Charnas, aka Something Navy's Instagram Story. She was talking about some coat that she was wearing and loving, and casually mentioned it was from Amazon. My ears perked up, and I started doing a little more research. The origin of the coat is slightly unclear; it apparently started with a teacher, and soon caught on to every mom on the Upper East Side of Manhattan, before trickling its way downtown to the POPSUGAR offices and my neighborhood. 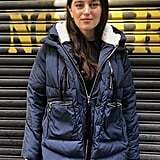 Known colloquially as the "Amazon Coat" or the "Upper East Side Mom Coat," this Orolay Women's Thickened Down Jacket ($130) is a New York City staple. 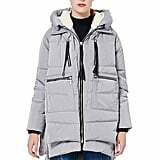 And when I say that, I'm not exaggerating: in the last week I've seen around 20 women wearing this coat, and I saw three women wearing it just in my commute this morning. 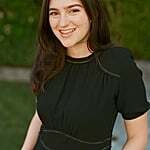 The origin of the coat is slightly unclear; it apparently started with a teacher, and soon caught on to every mom on the Upper East Side of Manhattan, before trickling its way downtown to the POPSUGAR offices and my neighborhood. Everyone I meet asks one question, "Is it worth buying?" and I can answer with an emphatic yes. I understand why moms wanted to wear this coat. They want something that's got big pockets, that can withstand juice spills and doesn't feel too precious. Plus, it's got a big, thick, shearling lined hood that doesn't budge and keeps you toasty, even through particularly difficult windchill. And also, this coat is warm. Like, actually warm. I classify my coats as either a 40-degree coat or a 20-degree coat, and this is definitely a 20-degree coat. I don't know how, but it's made of real down. I've spilled matcha on it, and it slides right off. 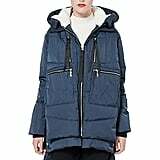 As if that wasn't enough, the coat has an oversize parka style that looks much more expensive than it is; someone asked me if it was designer, and I was proud to say that I got it on Amazon. Someone asked me if it was designer, and I was proud to say that I got it on Amazon. 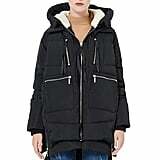 If it wasn't abundantly clear, you should buy this coat. It will get you through this season the way only a great coat can, and you'll find yourself being irrationally excited and proud of it, like I am. The coat comes in five colors, and fits pretty true to size. 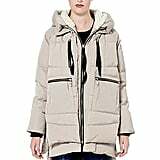 I go between a small and a medium, but usually buy medium coats. I took the medium in this style, and it's slightly oversize but in a good way; I'm happy I didn't go with the small. The style also features two side zippers that can make it tighter or looser. I'll leave you with this last piece of encouragement. When I walked in to the office this morning, I started talking to some coworkers about the fact that I was writing this story. Within minutes, heads were peeking up from computers and people were asking to try it on. So basically, go pick up this coat before the entire POPSUGAR office beats you to it.